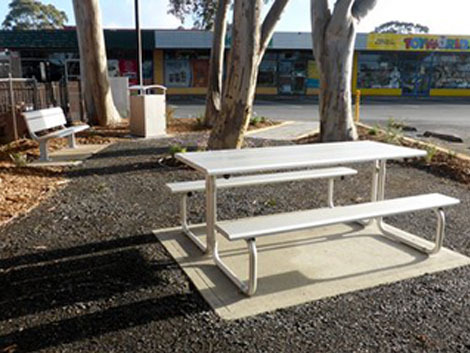 Terrain Group partnered with local volunteer group, Blackwood Action Group, to create, supply and install furniture for a busy retail precinct, Blackwood’s 'Pocket Park'. The project’s primary objective was to create a space for retail customers and staff to rest before or after their shopping activities. The Blackwood Action Group had a tight budget for the various pieces of furniture required, so Terrain donated a bin enclosure – to show their support for the initiative. 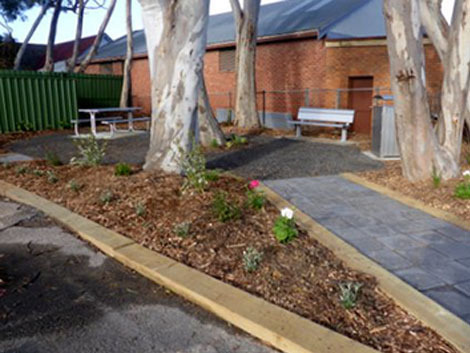 Terrain Group’s Riverside Seat, 3 in 1 Combo and Bayside Bin Enclosure were the three products chosen specifically for their functionality, durability and clean design – core, ideal qualities for Blackwood’s public “Pocket Park” space. Terrain liaised with the group’s Secretary Geoffrey Bartlett, with the entire body involved in actioning this plan. Terrain received a “big thanks” for going that extra mile and supplying the units within a short time frame, meeting the opening of the park. 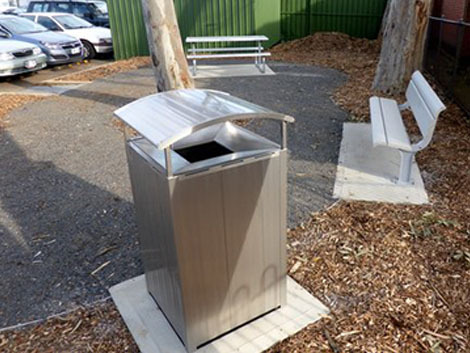 Terrain’s seating and bin enclosures put the finishing touch on what is now one of Blackwood’s popular public areas. Visit the park today and you’ll see signage featuring all of the companies involved in making the park a reality – Terrain included.